Optimization of perioperative fluid management is a controversial issue. Weight-adjusted, fixed fluid strategies do not take into account patient hemodynamic status, so that individualized strategies guided by relevant variables may be preferable. We studied this issue in patients undergoing pancreatic surgery within our institution. 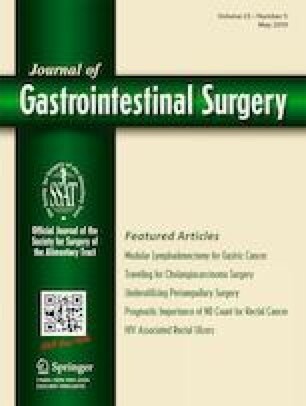 All patients who underwent a laparotomy for pancreatic cancer during a 5-month period at our hospital (AOUI of Verona, Italy) were eligible to be included in this prospective, observational study. According to the responsible anesthesiologist’s free choice, patients received, during surgery, either liberal (12 ml/kg/h) or restricted (4 ml/kg/h) fixed-volume weight-guided replacement fluids or goal-directed (GD) fluid replacement using stroke volume variation (SVV) determined by the FloTrac Vigileo device. Eighty-six patients were included: 29 in the liberal group, 23 in the restricted group, and 34 in the GD group. The mean duration of surgery was 6 [4–7] h. Patients in the liberal group received more perioperative fluid than those in the GD and restricted groups. Nearly one third of all patients had a major complication, including delayed enteral feeding, and presented a longer duration of hospital stay. Despite the biases related to our limited cohort, there were significantly fewer postoperative complications (such as postoperative fistula, abdominal collection, and hemorrhage) in the restricted and GD groups of patients than in the liberal one. In patients undergoing pancreatic surgery, a restricted or individually guided GD strategy for management of perioperative fluids can result in fewer complications than a liberal fluid strategy. Larger and randomized investigations are warranted to confirm these data on this domain. The online version of this article ( https://doi.org/10.1007/s11605-019-04166-4) contains supplementary material, which is available to authorized users. LG, AM, NM, VS, and EP conceived and designed the study; NM, AM, KD, GM, and LP collected all sensitive data; AM, LG, and VS performed the statistical analysis; LG, AM, and NM first drafted the manuscript; all authors participated to manuscript preparation and finalization and agreed on its final version. Approval from the Institutional Review Board was obtained (local committee acceptance number 884CESC) along with written informed consent from all patients.